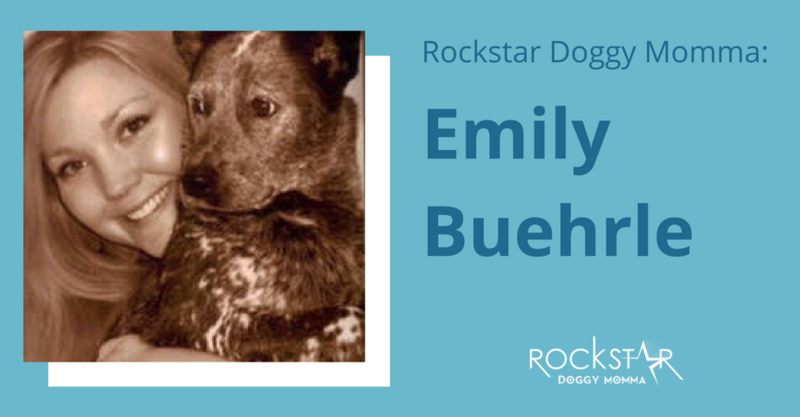 Our latest Rockstar Doggy Momma feature is Emily Buehrle! 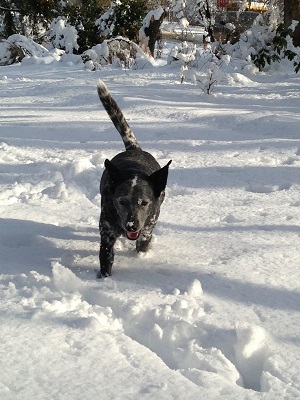 Emily is the mommy of an Australian Cattle Dog named Corbin. 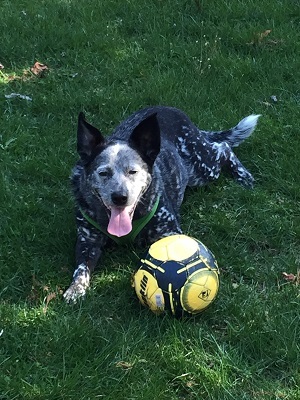 Read her story of how she became a Rockstar Doggy Momma! Tell us the story of how you became a doggy momma! I was in a transitional time in my mid 20’s, probably not the best time to get a pup. A friend wanted to rescue so I was helping to look and came across Corbin on Petfinder. It was love at first sight. At first, I was telling myself no but after two days of staring at his photo, I had to meet him. He was so tiny, with blue eyes. I was told they found him and his litter mates in a box on the road. Little did I know all the pups had parvo and the rescue was actually illegal and prosecuted right after I brought Corbin home. I had him for three days before he showed symptoms and on Christmas Eve I took him to the vet where they gave me a 5% chance of him surviving. He was in the hospital for three weeks and was in quarantine so I couldn’t even see him. I am beyond grateful that he survived. I picked him up a day before my 26th birthday and have been with him ever since. Eight years later we are together, happy and healthy, perhaps a bit spoiled but so worth it. What is the #1 thing you love about being a doggy momma? Being able to provide the best life possible for my pup. That fact makes me strive to do more, be better and lead a happy and healthy lifestyle. Money doesn’t make happiness, however, I strive to be better in that area as well so I can afford the best care for Corbin, including food, health insurance and of course toys. Let’s talk momma/doggy health! What do you do together to stay happy and healthy? We love to go on walks, swim in fresh water lakes, and lay in the grass. I taught Corbin how to swim when he was one; it took me all summer but now he loves it. In the winter I take him to frisbee school for special time together and also to give him exercise when it’s too cold for walks. We also have a sleep routine as we both enjoy snuggle time. What is the biggest gift you have experienced being a doggy momma? Unconditional love – the love and trust Corbin shows me is unlike any other relationship I have ever known. What are your favorite health and/or pet products that you cannot live without? Annamaet dog food, Bark Box, and Kong’s flexible frisbee. Thank you, Emily! What a Rockstar Doggy Momma you are!